﻿ Best Price on Sheraton Santo Domingo Hotel in Santo Domingo + Reviews! Have a question for Sheraton Santo Domingo Hotel? Located in the heart of Santo Domingo, the Sheraton Santo Domingo Hotel places you close to both the city center and the airport. All guestrooms boast spectacular views of the Caribbean Sea. The property also provides a wide range of recreational facilities such as a beautiful swimming pool, 4-star dining options, and a large casino sure to keep you entertained. The hotel is a popular destination for tourists as well as business people due to the modern business services and facilities available. 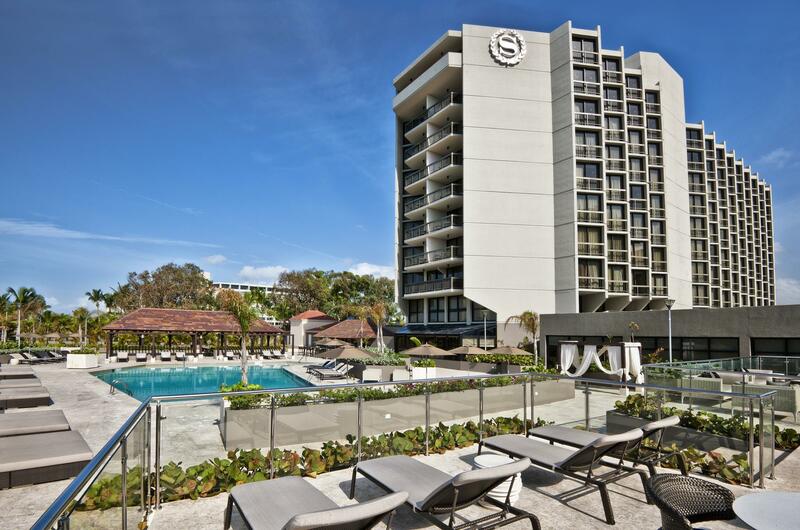 The Sheraton Santo Domingo Hotel provides not only a convenient location, but also a wide range of amenities that are guaranteed to make your stay a pleasant one. great staff but somewhat old facilities. Lower Small Room으로 예약했으나, 실제 방 크기는 다른 호텔의 스탠다드급과 동일합니다. 창문도 크고 뷰도 좋습니다. 조식은 종류가 많지는 않습니다. 6일동안 먹으니 지겨웠습니다. 다만 직원의 커피 등 서비스는 신속합니다. 딸려있는 레스토랑이 조식을 먹었던 장소 외에는 없는것 같습니다. 별로 선택의 여지가 없습니다. 숙박비가 높은편이라 숙박객이 적어 쾌적하고 한가한 편입니다. 조용히 머물기에는 좋습니다. 야외 풀은 훌륭합니다. 3m 깊이의 수영장과 넓은 공간이 좋았습니다.